With an introduction like this, it’s easy to identify Norman, Emma, and Ray by their prevailing characteristics that the show provides as shortcuts. 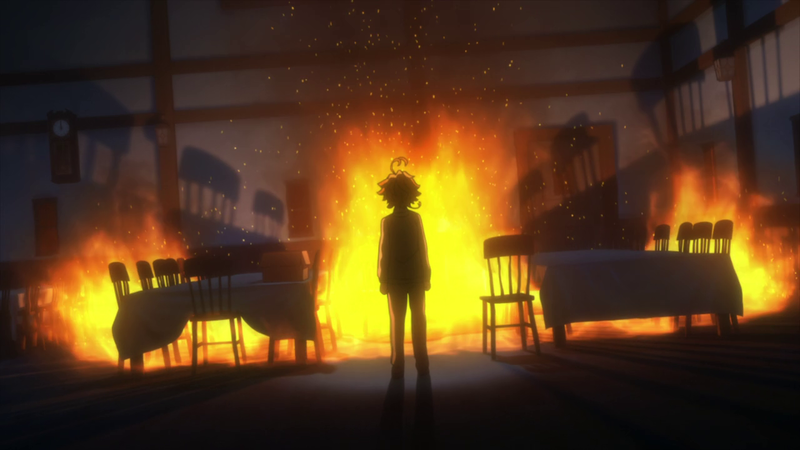 Yet, this also does a disservice to how The Promised Neverland develops them throughout the series and makes it abundantly clear that their plan would not have succeeded without all three children working together. Episode 11 is a testament to how not only the main trio but all of the children were necessary to truly pull off their escape. Norman is the group’s problem solver and, more importantly, organizer. He outsmarts Ray, revealing Ray to be the traitor in the group, and he frequently is the one taking Ray and Emma’s considerations in mind, organizing them into a coherent plan, even as circumstances change. After his death, Norman writes to Emma, detailing the final plan for their escape and ensuring that Ray is stopped from sacrificing himself. It’s easy to see how they would never succeed without him. He is the smartest of the group, and because of this it’s easy to mistakenly place him above the other two in importance. Yet, even Norman has weaknesses. He admits that he wouldn’t be nearly as determined without Emma’s infectious energy and love of her family. Norman is also not above making his own mistakes. Like Ray, he offers to sacrifice himself before he realizes that he is doomed, leaving Ray and Emma to stop him. He makes a serious misstep in lying to Don and Gilda that could have led to the demise of their entire plan. Yes, Norman is the most intelligent child but he’s not infallible and needs both Ray and Emma to ground him and inspire him respectively. Ray is the most pragmatic of the group. This isn’t to say that he’s devoid of emotion, but he frequently pushes his emotions to the side in order to deal with things in the most direct way possible. It’s harsh, but necessary, and forces the other two to recalculate their own plans in the process. He’s been planning his escape for years and Ray’s anger at the entire system boils over during what he believes to be his ultimate trump card: his life for their escape. 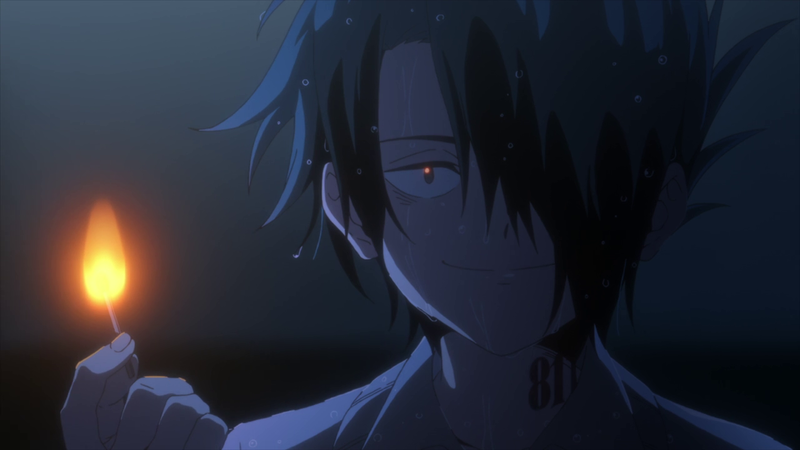 Through burning his body, Ray not only wants to help Emma and the other children, it’s a giant obscene gesture to the monsters that raised him as food. He even admits that he never loved studying, and only did it to make himself high-value merchandise. This anger at the system is a necessary motivator, but also points out many of Ray’s flaws, including his self-centered nature — not to be conflated with arrogance — without truly thinking of what others want or recognizing his own value to them. Outside of being Mom Isabella’s merchandise, he’s also Emma’s found brother and friend. When Ray becomes obsessed with something, he ignores all else to his detriment. Emma’s flaws are the most obvious, and her true strengths much more nebulous until Episode 11. She’s not as smart or devious as Norman or Ray, which is why she can never best them in tag and also comes off as oblivious a lot of the time. Emma’s characterization can easily be written off as the brawn and the heart of the team. While Norman and Ray try to outwit Sister Krone, Isabella, and each other, Emma’s role in all of this takes a bit of a backseat. This is unfortunate and ultimately does her a disservice. Emma is an amazing character whose full importance isn’t revealed until a small twist during Episode 11. The plan wouldn’t have worked without her due to her positive attitude and physical capabilities, but more importantly, it wouldn’t have worked without her remarkable emotional intelligence and trust. Episode 11 reveals that — after Norman’s distrust in Don and Gilda nearly derails the plan completely — Emma decided to let the other kids in on it slowly. Nat, Anna, Lannion, and Thoma were all privy to Norman and Emma’s conversation with Krone and then Emma, Don, and Gilda spent two months slowly integrating the other kids into the plan. Emma trusted in her family and was richly rewarded by their preparation and planning of the escape itself and she executed this all while keeping Ray and Isabella in the dark. 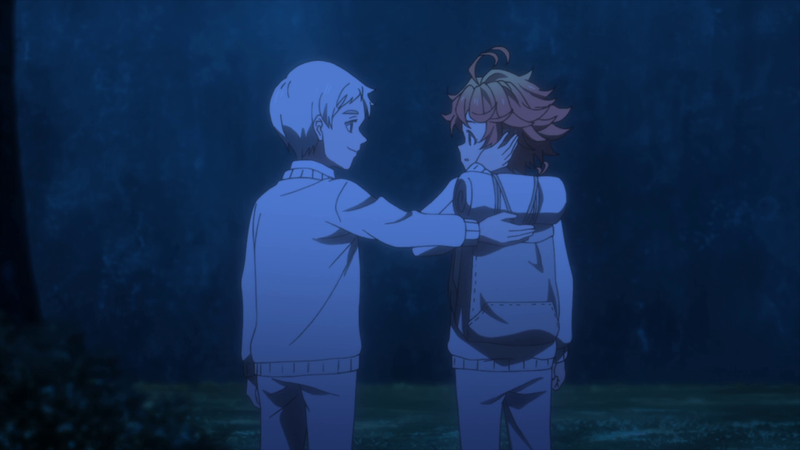 With Norman’s death, Norman, Emma, and Ray don’t escape Grace Field House together, but the plan that is executed with Emma and Ray leading the other children wouldn’t have worked without all three of the main trio working together. They needed the sophistication and foresight of Norman’s planning, the scheming and pragmatic nature of Ray, and Emma’s emotional intelligence and trust in her family to succeed.